The breath-taking adventures of Mokie and Bik – eccentric twins who live on a houseboat. A highly illustrated storybook for reading aloud, and for readers 6-8. 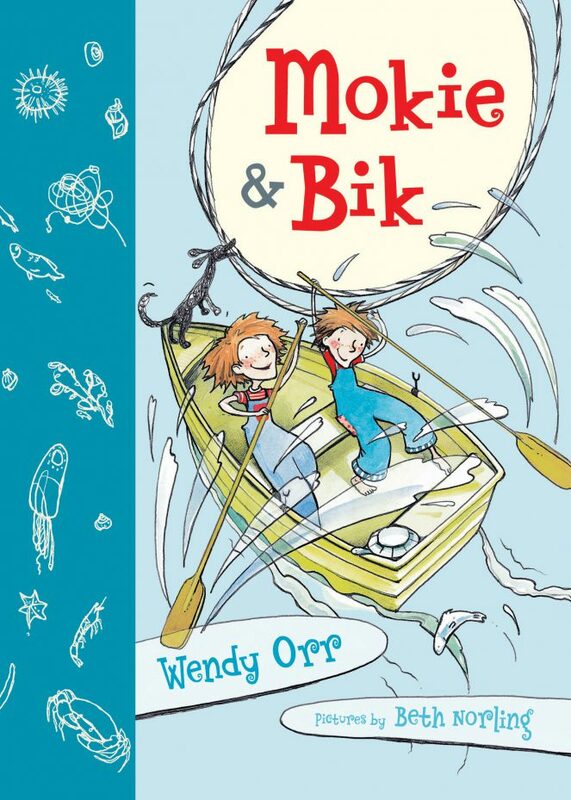 Mokie & Bik live on a boat with Laddie the dog, Slow the sleepy tortle, and Ruby who sings all day. Dad is on his ship-at-sea, Mum is busy arting, so, underfoot or overboard, the twins have twie as much fun as anyone else.